A convicted felon with a half dozen pending cases in Montezuma County Combined Courts was arrested Sunday in Durango after a two-hour standoff with police. 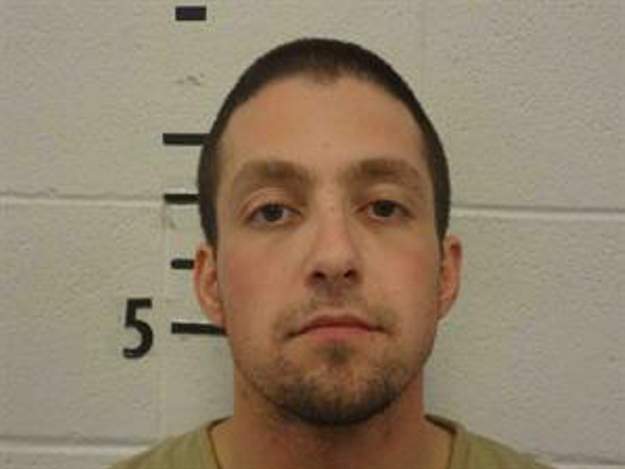 Durango police were notified by the Cortez Police Department early Sunday that 35-year-old John Finocchiaro was possibly staying at a motel in Durango, according to a post on the agency’s Facebook page. Cmdr. Ray Shupe with the Durango Police Department did not return phone calls Monday afternoon seeking comment. Finocchiaro was considered armed and dangerous, the Facebook post said. Finocchiaro, who had seven pending cases in Montezuma County, was arrested Feb. 3 in Dolores for possession of a Hi-Point 9 mm rifle. Four days after the arrest, Finocchiaro was scheduled for a sentencing hearing on a January 2018 felony menacing case, but he didn’t show up. Durango police responded to the motel, which is not named in the Facebook post, and confirmed Finocchiaro was renting a room there. “For the safety of other motel guests, the adjacent rooms were evacuated,” Durango police posted. Officers then contacted Finocchiaro, who refused to come out and barricaded himself in the room. “Officer Lowande made contact by phone with Finocchiaro and negotiated with him for almost 2 hours, at which time Finocchiaro decided to peacefully surrender himself to the custody of the officers,” police posted.